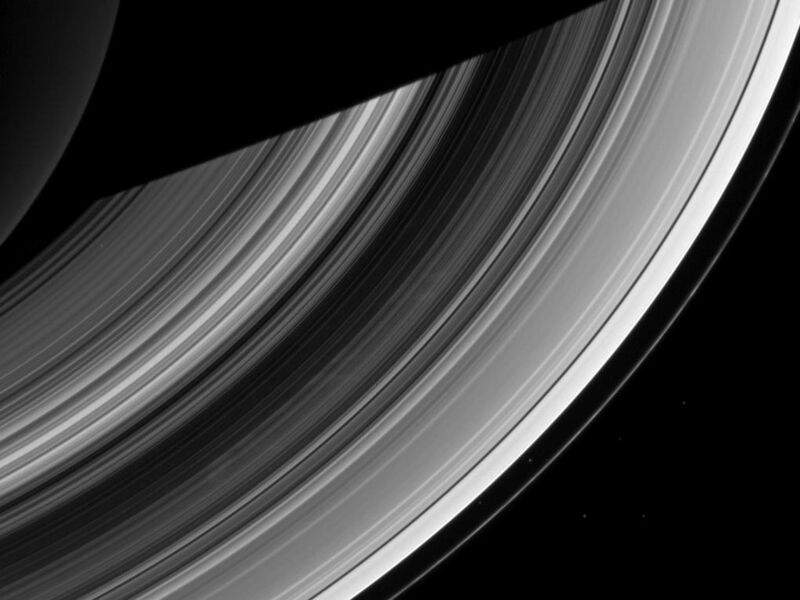 The ghostly spokes in Saturn's B ring continue to put on a show for the Cassini spacecraft cameras in this recent image. The spokes, believed to be a seasonal phenomenon, are expected to disappear as Saturn nears its northern hemisphere summer. Scientists continue to monitor the spokes to better understand their origin and evolution. 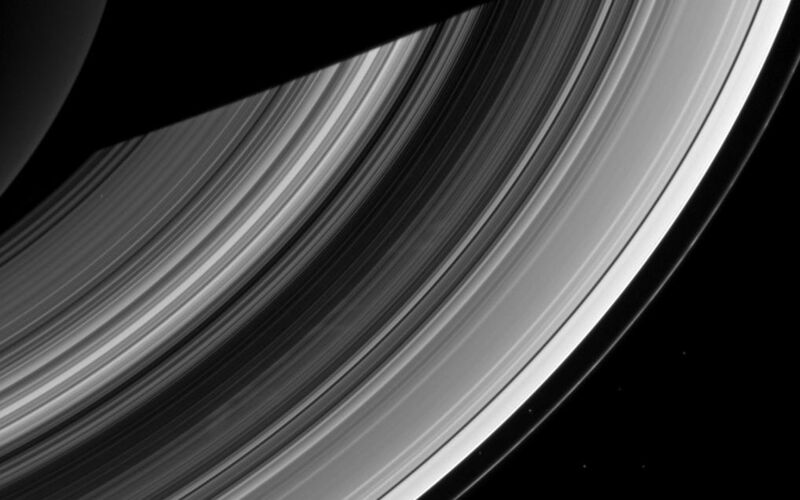 The small moon Atlas also appears here barely visible in between the A ring and the F ring, which is the thin ring located furthest from Saturn, as the fainter dot close to the A ring. Atlas is closer to the bottom of the image. A bright star also appears in the gap between the two rings, and there are six other stars visible (one through the C ring, near the planet). 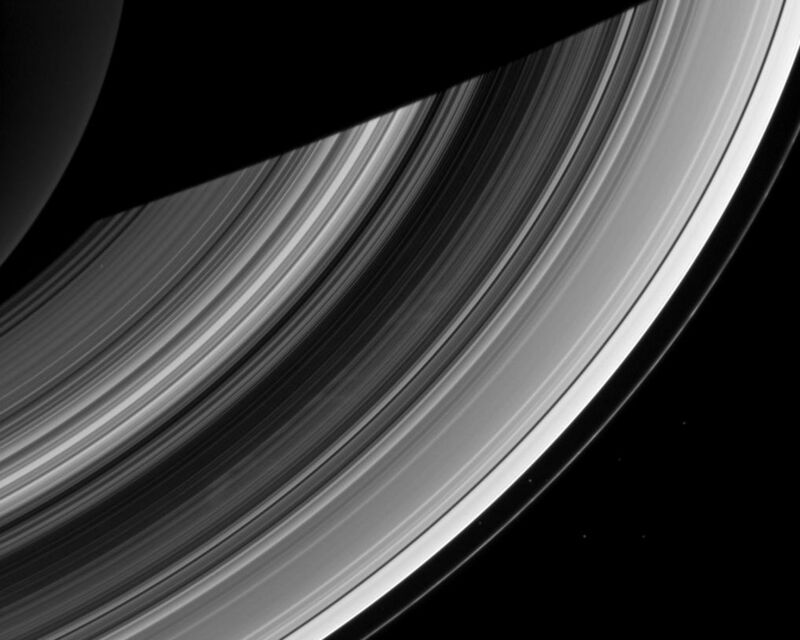 This view looks toward the unilluminated side of the rings from about 49 degrees below the ringplane. 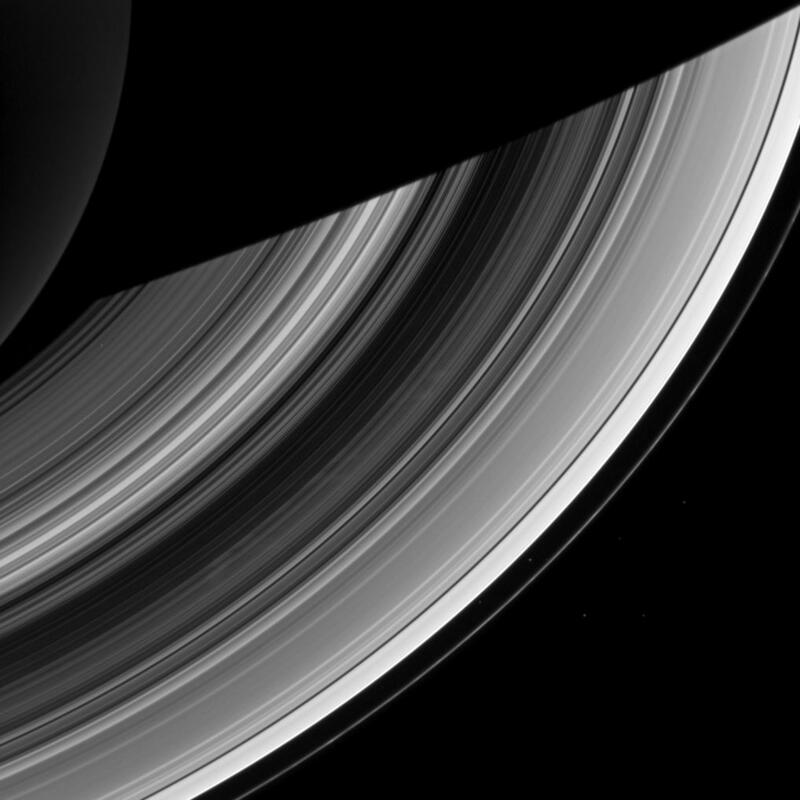 The image was taken in visible light with the Cassini spacecraft wide-angle camera on Dec. 20, 2012. The view was obtained at a distance of approximately 840,000 miles (1.4 million kilometers) from Saturn and at a Sun-Saturn-spacecraft, or phase, angle of 105 degrees. Image scale is 48 miles (77 kilometers) per pixel.